Okay so Ichiro Suzuki doesn’t possess as much speed as he once did, or even hit .320 like he routinely did for the Mariners. Plus yes, there is virtually no power…however he hit .284 last season, and for a 4th OF or Pinch Hitter in the Senior Circuit, that would be much likened. I was sitting there last month debating on whether the Mariners should give him a call for a return to Seattle, considering they tried signing Franklin Gutierrez (hurt all of 2014, which was the biggest waste of a $MIL ever by M’s mgmt – considering the guy already burned the squad for 120 games missed in 2013) and employed friggin Endy Chavez for much of the 2014 year. 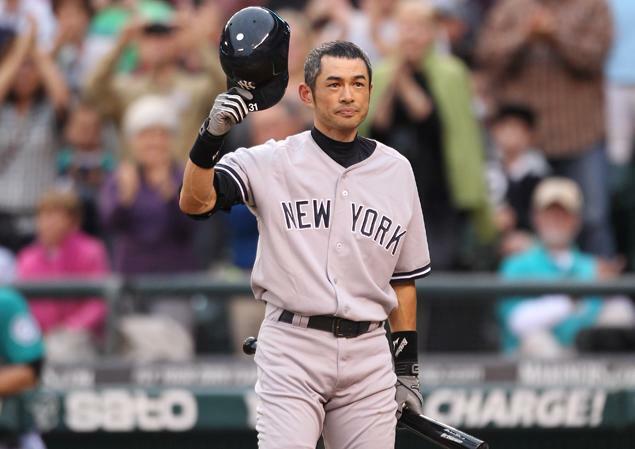 I am giving Jack Z. and the Mariners some chops for picking up Justin Ruggiano and Seth Smith instead in the last 30 days, but the point was, Ichiro may not have wanted to return to the PAC NW anyway even though he could have helped that club as they were constructed then. Have you seen some of the 4th OF and PH that still have jobs in the Majors? Heck yeah… give me a guy who can put the bat on the ball still. 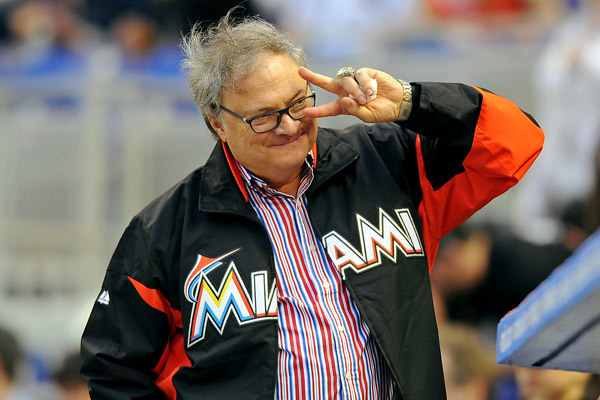 Jeffrey Loria did a number on the Expos back int he day, and continues to be one of the most controversial owners in the game of baseball. The Miami fanbase had been promised the club would compete in the New Marlins Ball Park. After a $118 Team Salary in 2012, the management pulled the plug on that active roster. While the transactions didn’t look good for the PR side, the operations portion of it has seemed to work out. The New York Art Dealer has pledged to spend more money in coming years, however only time will tell. The franchise has 2 superstar youngsters in Giancarlo Stanton and Jose Fernandez. The Marlins took a lot of flak for the big selloff almost 2 years ago. In the previous winter, Miami set out to dominate the NL East in the 1st season of the New Marlins Ball Park. To do this, they allocated a $118 MIL payroll. They inked Jose Reyes (6 YRs/$106 MIL), Mark Buehrle (4 YRs/$54 MIL), Heath Bell (3YRs/$27 MIL), and the club took on Carlos Lee midway through the year ($9 MIL) commitment. The Fish flung down the standings in the 2nd half, and ended with a 69 – 93 record, and Ozzie Guillen was fired after inking a 4 Year Managerial deal prior to that campaign. The club struggles with injuries to key players and never really jelled. Miami decided that they were in big trouble with how the current roster was situated, and were carrying an enormous payroll, and the threat of dwindling attendance the following year, caused them to make a block buster deal with Toronto. Without detailing this too much, Miami traded Reyes, Buerhle, Josh Johnson, Emilio Bonifacio and John Buck to the Toronto Blue Jays. In turn, the organization received Jake Marisnick, Adeiny Hechavarria, Henderson Alvarez, Justin Nicolino, Anthony DeSclafani, Yunel Escobar and Jeff Mathis. 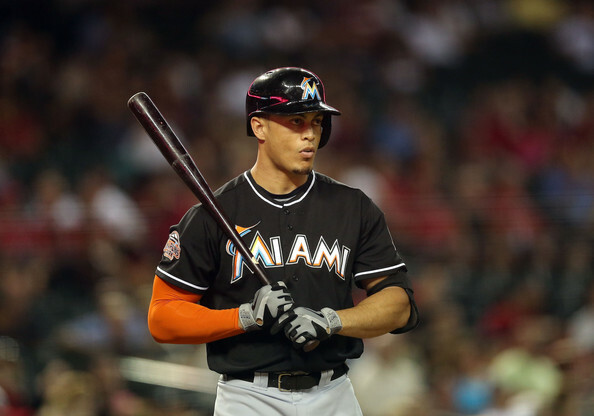 It is scary to only think the Giancarlo Stanton is just 25 years of age. This man is asserting himself as the premiere HR hitter in the National League in 2014 with 14 HRs so far,. The Marlins OF has also netted 47 RBI. and 114 Total Bases, both of which are NL leading. Teams have already intentionally walked him 9 times, which is another league leading category for him. Miami is 25 – 24 on the season, and they owe Stanton a huge amount of thanks for why. Miami has also hit 48 HRs in 26 home games so far this year. Giancarlo Stanton (don’t call him Mike, even though everyone wants to be like him) had his 3rd Multi HR game of the year, and took over sole possession of 1st place in the NL HR Race. Stanton’s teammate Garrett Jones also did yard two times (7th teammates of 2014 to accomplish the feat). Even though these Marlins did this, Mark Reynolds destroyed 2 baseballs over the fence himself, to help the Brewers overcome the 4 HR barrage by the Fish. The Mariners are 10 – 4 in their last 14 games – without receiving any outstanding play from one particular player. They are the biggest jumpers in this weeks rankings, going from #20 – #15. The club concludes a series vs the Kansas City Royals, before they welcome the Tampa Rays next into Safeco Field. We are almost at the quarter pole for action in the MLB. The biggest mover and shakers this week were the Seattle Mariners, followed by Baltimore Orioles. LA Angels and San Francisco Giants. Plummeting in the other directions were led by the Phils, who we dropped from 17th to 24th. The Yankees, Nationals, Dodgers and Rangers all lost 4 places in the rankings based on sub-par weeks. The AL New York franchise is about 1 bad week from free-falling to the AL East. Right now the team has received buoyancy because of ace Masahiro Tanaka being 5 – 0. Brian McCann and Carlos Beltran are having a tough time finding their rhythm with the Bronx Bombers. I believe the Dodgers will rectify their situation shortly and take off. Washington is barely over .500 even though most of their players are playing to their capabilities. The Royals offense is destroying their team morale, as is the Mets having a tough time with the Relief Core, and their Pitchers are still battling .000 for the year like you and me. Oakland is still leading the MLB in wins since the start of the 2012 year. The Red Sox are one of the most likely teams to climb the standings in the next few weeks. With the Cards not playing well, keep in mind, 18 of the next 21 games reside in Busch Stadium for them. It is time to make some headway. The AL has fashioned a 18 – 8 mark in Interleague this week to apply a 34 – 33 overall lead on the NL now. The Tigers are on fire right now, and showed who is boss in the AL Central by sweeping the Royals, running their record to 5 – 0 against KC for 2014 in the process. On Saturday, the new revamped offense notched their 11th total. This should turn out to be quite fun. A lot of gambling establishments have this sort of deal, and it will be fun to see the results. What Runs Survivor is, a MLB team scoring 0,1,2,3,4,5,6,7,8,9, 10 or (10+) in different games throughout the course of the season. Once a club has one of these run totals once, you cross it off and keep going until they complete the 11 different variations. We are going to keep tracking this category – until all 30 MLB clubs are finished this season! Charlie Blackmon and Troy Tulowitzki both have crossed home plate 26 times to start the 2014 season. With AL’s Brian Dozier, they are all in a tie for 1st place in Runs Scored in the MLB. Last night, both of the Marlins and Cards finished the task. As far as seeding goes – who goes 7th and 8th place in the finishing, I gave the nod to Miami because they accomplished the feat in 29 games – compared to 30 contests for the reigning NL Champs. The Fish continue to play inspired baseball at New Marlins Ballpark, running their record to an impressive 13 – 4, while the record on the road remains a brutal 2 – 10. The MLB Reports is going to step up our coverage of talking about the ballparks. We are part of the biggest fraternity of balllpark experts, all lending creative information to help out others. Stay tuned for future posts. But all you really have to do is to see all of our links of interest on the left hand side of our home page, to click on all of these aforementioned sites. There is nothing that revs my adrenaline more than knowing I am going to chase a ballpark this year. In 2013, between running this website, and juggling my work, I only went to 2 games in MLB Parks. Nicely I made the opener at Dodger Stadium, and then captured a late season game in Safeco. After breaking my own World Record for witnessing 30 MLB Games (All Parks in 23 days – every pitch) in 2012, I was left with my worst total in a decade last year. I wanted to change that in 2014. Unfortunately I wont be chasing any records this upcoming year, but I will potentially be going on a historic run in 2015. I will get to that in a minute. This year I do plan on seeing 20 games at Safeco Field. It is important for me to see games live in person, so I forked out $750 yesterday to do just that. I bought a 17 game flex plan for the Mariners, and it involves an array of games from April to September. While it will trounce my records ever for a ballpark in one year, there are no plans for attending a game in any other ballpark on the road this season. Now that we have talked about, let’s chat about my plans for 2015. 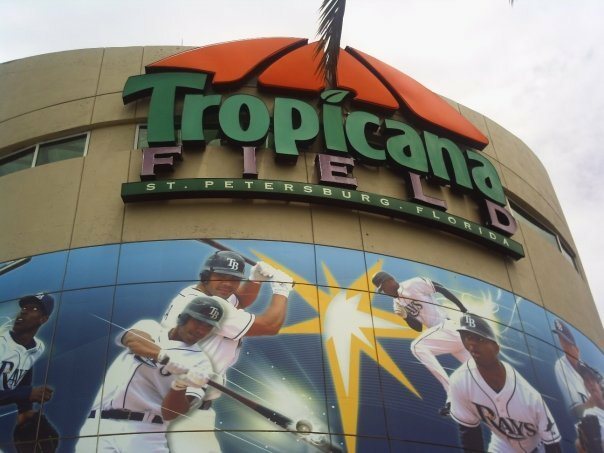 The “Trop” was frequented less in 2013 than any other MLB stadium and it is a shame. The team has made 4 playoff spots in the last 6 years, has the 2nd best record in the game since the start of the 2008 campaign (NYY are 1st) and are sniffing the AL East crown out every year. Tropicana Field has been the only MLB Park for the Rays. Unfortunately the club has a lease that runs through the year 2027. There have been several talks of a downtown Tampa Stadium right off of Highway 4. All have plans have been derailed. With limited revenues generated playing out of Tropicana Field, it will be tough to keep doing this year after year, however the management had the good foresight to see the MLB game switching back to more pitching and defense. With some of the best players on the club locked up under team control, the management has been able to overcome all of these obstacles to field a competitive club. It is funny how all of the top Free Agents have been signing with the American League teams in recent years. Out of the 1.5 Billion Dollars in contracts offered this winter to guys, more than 1.1 Billion of those bucks have been given to guys like the M’s Robinson Cano (10 YRs.$240 MIL), Jacoby Ellsbury (7 YRs/$153 MIL), Shin-Soo Choo (7 YRs/$130 MIL) and potentially 6 YRs/$100 MIL for Brian McCann (5 YRs/85 MIL is guaranteed.). For these reasons, you would think the AL is dominating the attendance every year. As you will read here, they are not. It has almost been a year since the Blue Jays and Marlins deal that saw Josh Johnson, Jose Reyes, Emilio Bonifacio, John Buck, Josh Johnson come to Canada – in exchange for a bushel full of prospects, Yunel Escobar and Henderson Alvarez. 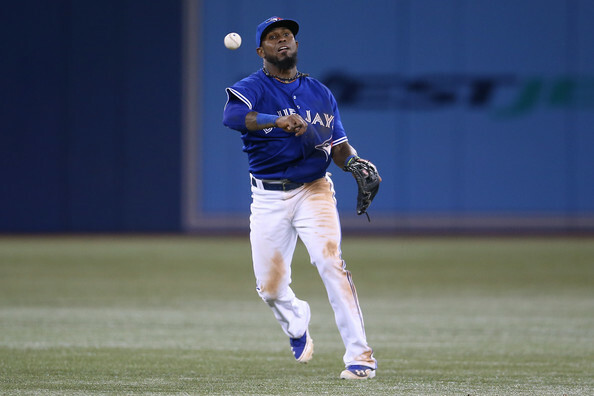 Toronto suffered the same fate nearly as the 2012 Marlins – in terms of record. All of the Miami players struggled at the MLB level, but primarily that is because they were all 1st or 2nd year players. It will be plenty of seasons until the final verdict is handed down on this trade. Reyes still slashed .296/.353/.780 – and posted 113 Hits and 58 Runs in 93 Games Played the for Toronto Blue Jays. He did miss 69 Games due to injury. A year has almost gone by since big blockbuster move made by the Miami Marlins and the Toronto Blue Jays. In a bullet version of this story, the Miami team only finished with 7 wins less than the 2012 version of themselves, yet they have stockpiled many of young assets, and all for about a one-third of a payroll they had last year. Jose Reyes, Mark Buehrle and R.A. Dickey (parlayed by throwing Travis d’Arnaud and former Marlin John Buck via trade) had average years only, and Emilio Bonifacio was eventually moved to Kansas City for bad play. Jake Marisnick plays tremendous defense out in center field but his bat has been far from impressive in his limited time in Miami this season. It’s not exactly easy to get excited about the average Marlins game this late in the season. With the Marlins struggling to give their pitchers any run support and finding seemingly different ways to lose everyday, it would be easy to give up on the Marlins and just wait for next year. However, thanks to topics like Jose Fernandez‘s quest for the N.L. Rookie of the Year Award and lefty Brian Flynn‘s recent promotion, there still are reasons to watch the Marlins in 2013. Here are what I consider to be the top four things to watch for on the Marlins in the final month of the regular season (in no particular order). The 30 MLB Park Road Trip has been mastered by about 25 people who have accomplished the feat in under a month. We are going to keep giving the extreme ballpark chasers some more food for thought here. The Factor 12 (F12) is an analytic measurement utilizing league average performance to compare the value of all MLB pitchers on 60ft6in.com. My grandfather was a traveling salesman for most of his working life. Frequently, he recalls stories about selling his wares in exotic places such as Keokuk, Iowa, Hannibal, Missouri, and Cairo, Illinois. 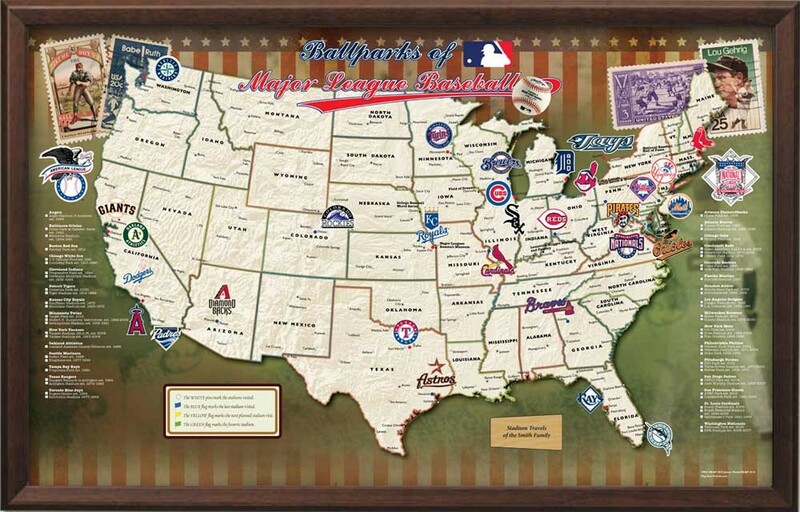 Applying this computation to all 30 MLB stadiums is more complex given the nature of the regular season schedule. 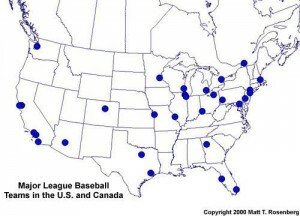 A handful of metropolitan cities host two clubs enabling for travel to occur in the same city more than once. Without using a complex algorithm or formula based system, google maps will be utilized to determine the shortest distances between each city/stadium to determine the most logical route. Extreme ballpark chasers are often left to the mercy of the schedule eliminating a perfect directional path. The 2013 Marlins are the most painful team in baseball to watch. With a lineup filled with washed up Major Leaguers – and young players struggling to keep their heads above water in the big league, the Marlins have struggled to score any runs this year. 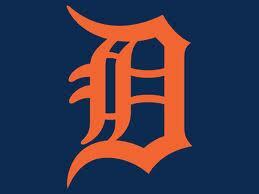 Despite having played 24 games, the club has only managed to hit 7 Home Runs. The Miami Marlins are without a doubt the worst team in the MLB right now – and the 2013 season is going to be unfathomable experience for even the most optimistic Miami fan, but there are signs of hope in their youth. 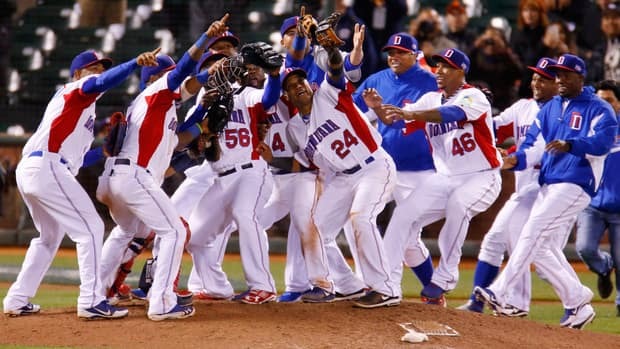 Congrats to the Dominican Republic: The 2013 World Baseball Classic Champions! After the initial WBC in 2006, the tournament returned in 2009. The decision was made to have the WBC played three years after the inaugural edition and then four years later from there. As result, after a long wait for baseball fans…the third World Baseball Classic was back for the 3rd edition in 2013. It was a thrilling March- with the final 2 countries facing off for global baseball supremacy: The Dominican Republic and Puerto Rico. The DR won the game 3-0 behind the MVP bat of Robinson Cano. Congrats to the Dominican Republic on being crowned the 2013 WBC Champions! In 2013, the Marlins will have an all to familiar feeling of being a team waiting to grow up around in a division of championship contenders. Hopefully this is the exception and not the rule for the Miami club. In December, we took a look at Miami moving forward after the now infamous salary dump of the Winter of ’12. Living in South Florida, its been an interesting off-season to discuss baseball with those who care about the sport. Some believe that the trade was a positive baseball move, others think it was another in a long line of for profit motivated transactions by a team whose reputation is for that type of maneuver. In either case, with opening day approximately three (3) weeks ahead of us, it is now time to move on from the trade and examine to a greater degree what the 2013 season holds for the Miami franchise. As with the past article, we will start with Giancarlo Stanton. Statistically, we have spent a large portion of time discussing Stanton’s strengths. He is an elite power presence in the middle of the Marlins lineup. I won’t spend time re-hashing the statistics that we have already went over. I do think its important to point out a few things that may effect Stanton’s output this year. 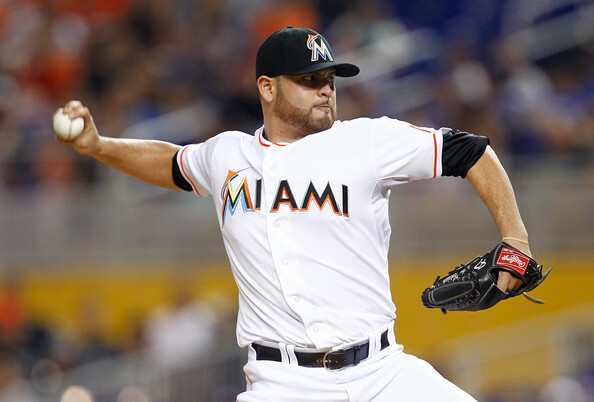 Ricky Nolasco: Should Marlins Deal Him Or Keep Him For 2013? Nolasco might be the next guy to be traded for more prospects. The man has a Career Record of 76 – 64 (.543) with a lifetime ERA of 4.49 in 7 seasons for the Marlins. However, despite a higher ERA – he does not walk that many hitters (2.1 BB / Per 9 IP) – and his SO Ratio is 7.4 / Per 9 IP. He might be able to help a team that is playoff bound in 2013. The Marlins will not offer him a 1 YR Free Agent deal to retain a Draft Pick – so it is either deal him or lose him for nothing at the end of the campaign. The Miami Marlins are in a state of disrepair. 2012 was meant to be their return to contention with the signings of Jose Reyes, Mark Buehrle, and Heath Bell. A healthy Hanley Ramirez and Giancarlo Stanton were meant to provide power to the lineup that supported the pitching staff anchored by Josh Johnson and Ricky Nolasco. The excitement of the new-look team combined with the anticipation of the new stadium. Unfortunately, the Marlins had a terrible season and shipped Hanley Ramirez to the Dodgers, and every notable player except Giancarlo Stanton and Ricky Nolasco to the Blue Jays, most notably. Adam Dunn has hit 38 + HRs in 8 of the last 9 years. 2012 was an exciting year for the long ball. The MLB saw its first Triple Crown winner since 1967, and there were six guys that hit over 40 HR. It seems as if 2013 will be more of the same with the emergence of new sluggers in Mike Trout and Bryce Harper. In this feature, I will highlight some of the hitters who I think will have the most dingers (and how many) by the end of 2013. I don’t think Joey Bats will stay healthy enough to reach this list (although he will have a chance if he can miss the injury bug. In the years that Dunn has not slumped, he has been pretty consistent. This past season proved to the baseball community that the slugger is not quite done yet. Although he hit for a very low average, Dunn still managed to club over 40 bombs. Knowing this, I have no problem putting Adam Dunn down to hit at least 40 this year. He will have more confidence than he did in 2012 – and will most likely be in better shape to start off the year. 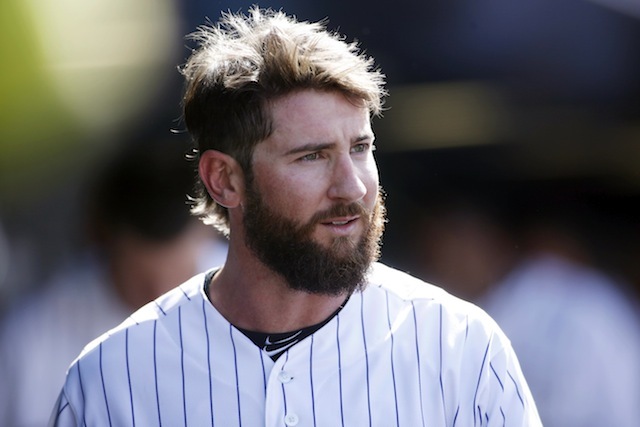 The White Sox might have a shot at the playoffs if Dunn can stay healthy and keep his average above the Mendoza Line. Trout had 49 SB, 129 Runs 30 HRs and 83 RBI in just 138 Games. Might he improve on these numbers with a full year and the addition of Josh Hamilton to the cleanup spot in 2013? The Angels prized possession did not even start the year with the big club, yet he still hit 30 HR. A legitimate candidate for MVP, Trout will not have a problem hitting 41 HR this season. The protection for Trout in Albert Pujols and Josh Hamilton makes this argument even more convincing. I could see Trout driving in 100 runs this year and winning the MVP. Just like Dunn, Trout needs to maintain his health. With Trout, Hamilton, and Pujols running on all cylinders, the Angels will not have a problem reaching the playoffs after failing to do so in 2012. The Athletics and Rangers will not be a match for the powerful offense that now includes Josh Hamilton. Nolasco might be the the next guy to be traded for more prospects. Last week, we took a closer look at how it would be possible to revive the Marlins from not only several years of under-performing expectations, but also, how to reinvigorate fans after the latest fire sale which can only be called a public relations disaster of massive proportions for the organization. In that article, which you can find here , the discussion was focused on the three offensive pieces that would be necessary for the Marlins to begin competing in the near future and bringing fans out to the new ballpark. While everyone knows that “chicks dig the long ball”, long-term success is ultimately sustained and championships won by consistent, steady pitching.